Hot Space are a young, fresh and incredibly talented wedding/function band, with the ability to make your event unforgettable. Hot Space are a young, fresh and incredibly talented ceilidh/covers band, with the ability to make your event unforgettable. 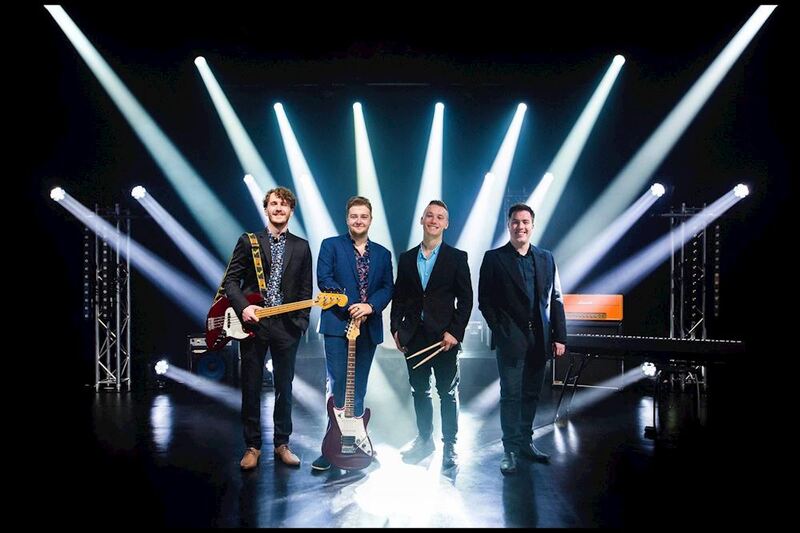 Featuring Michael Falconer (Guitar/Lead Vocals), Kieran Fergusson (Bass/Vocals), Ross Little (Keyboard/Accordion) and Colin Myles (Drums/Vocals), this group of skilled musicians have a lot of experience in performing. As a four piece all male party band Hot space s are on a mission to bring you rock and pop’s best with unrivalled energy and passion. Our extensive repertoire includes some of the 90's and 00’s biggest hits and a set that ranges from the authentic sounds of the sixties right through to modern day classics. Hot Space will provide a professional show for any event with world-class musicianship and attitude as standard. Highly accomplished musicians with extensive gigging experience. Regular live showcases for you to see us playing live.and speak to thr band directly . See above for our latest showcase date. Live Ceilidh Set for Everyone! First dance requests are always welcome, as the band are more than happy to provide a live version or play the original recording through the P.A. All first dance requests MUST be made eight weeks in advance of the wedding so that we have time to rehearse your special song in advance if its not already on our song list . We are always updating our repertoire so feel free to drop us a message on our facebook page to see what we are adding at the moment. Hot space can provide a free DJ service which Includes laptop (with vast amount of popular songs from all eras) Tailored playlists can also be provided upon request. We are ready are waiting to hear from you, and ready to rock your night !